After a long week of Keystone testing, one of the most anticipated events by Lampeter-Strasburg students approached: The Clash of the Classes. 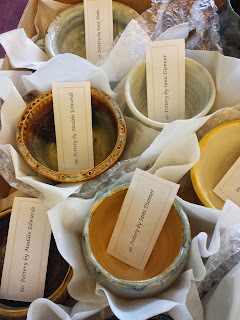 This year hosted a bounty of energizing activities that students signed up to partake in. Those who did not decide to participate in an activity found themselves enjoying the fresh, cool summertime breeze while watching the events take place or just simply spent some time with friends. As always, the Tug-O-War match drew a lot of exhilaration from the crowd; shouts and laughter filled the air as students viewed it from the bleachers. The freshman, sophomores, juniors, and seniors all battled it out in variety of other activities as well. Events like Food Relays, Volleyball, Trivia, Soccer, and more consumed the afternoon. Many found themselves enjoying the beverages and food provided by the school clubs. Four Diamond mini-thon assembly to be held Monday, June 1 will showcase three teachers completing their "dares." Mr. Fisher will get Chinese characters shaved in his head. Mr. Heyser will wear high heels. 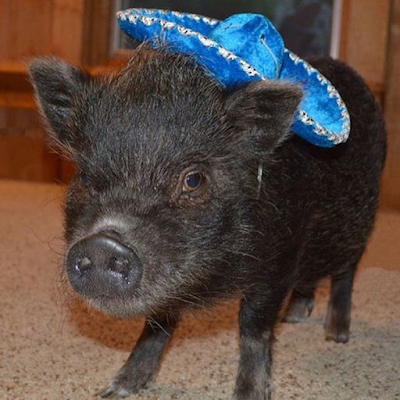 Mr. Zurnwill kiss a pig. Members of the Lampeter-Strasburg Class of 2015 were presented with nearly $79,000 in scholarships and loans at the annual Senior Awards Night, held Thursday, May 21 in the Performing Arts Center. 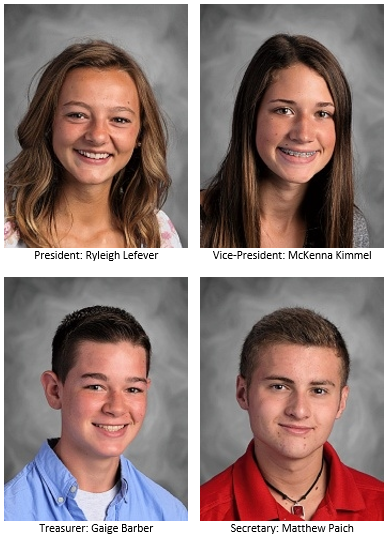 The final awards, those for valedictorian, salutatorian, and the Bill and LaRue Helm scholarship for the third place honor students will be awarded at graduation on Friday, June 5. There they were treated to a review of that battle’s third day by Mr. Schreckengost of the middle school, in full camouflage and complete command. Schreckengost, a retired Major in the United States Army, and current eighth grade social studies teacher and Civil War historian, led a detailed tour of the portion of the battlefield held by the 69thPennsylvania near the Angle, the view of Cemetery Ridge from the Virginia monument, and a short tour of the backside of Big Round Top before thunderstorms sent them home. 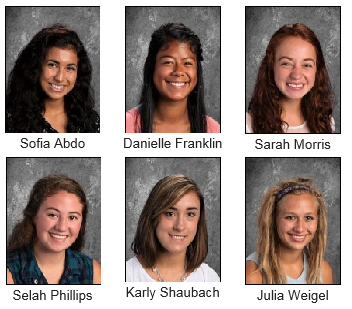 There is a proud Lampeter-Strasburg tradition of publishing “Senior Goodbyes” in the last issue of the Limelight. Senior Goodbyes allow faculty and underclassmen to wish graduating seniors luck and graduating seniors to say farewell to their underclassmen friends and teachers. That tradition continues this year but with the twist of the goodbyes being handwritten. Students and faculty are encouraged to personalize their goodbyes in any way and in color. Students and staff may also fill out as many as needed. Post Prom is Saturday. Volunteers Still Needed. 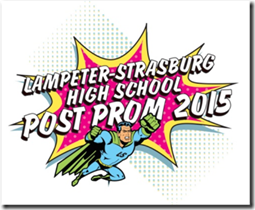 Superheros assembly this Saturday, May 30 at the Lampeter-Strasburg High School for Spring Blast / Post Prom crimefighting fun! Spring Blast Spring Blast is open to all 9th and 10th grade students from 8-10 pm. Admission is 10 per person. Post Prom Juniors and seniors can attend Post Prom for only $5 from 10:30 pm - 2 am. You do not need go to Prom to attend Post Prom. The Lampeter-Strasburg Performing Arts Center once again opened its doors to the public for the Model UN Talent for Change on May 16, 2015. Model United Nations, or MUN for short, is a club that exists internationally in order to educate students about global diplomacy and diminish the presence of ethnocentrism. The MUN club at Lampeter-Strasburg High School partnered with UNICEF, as they have in the past, to showcase some of the students’ talents as well as raise money for a particular global crisis. All proceeds from this year's talent show went to provide relief for those who experienced the earthquakes in Nepal. Dogs have a reputation for being a man’s best friend; members of Lampeter-Strasburg’s Aevidum club hope a dog will soon be students’ best friend at the high school. 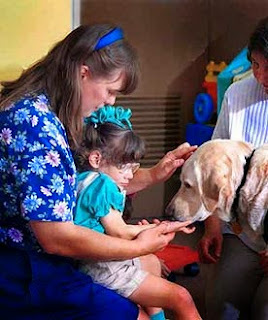 Schools have found that having a dog constantly available allows teachers and staff members to better meet students' needs, keep them safer, and ease difficult situations, including standardized tests, final exams, and extracurricular concerns. Aevidum club members recently began a fundraising campaign to purchase the dog, utilizing outlets such as Isaac’s and Chick-Fil-A, a GoFundMe page, and, most noticeably to high school students, "juke box days" and a bake sale in the cafeteria. Presently, the club is selling t-shirts with a dog emblazoned on the front. The goal is lofty: the club hopes to raise $3,000 to cover the costs of purchasing and caring for the dog. Thus far, they have raised about $1,000, according to club treasurer Kelly Harnish. 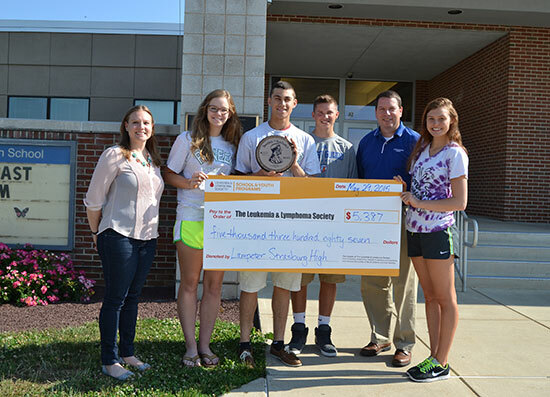 Twenty-three Lampeter-Strasburg High School teachers have agreed to participate in the mini-thon dare jar fundraiser. What is a dare jar? With a dare jar, a teacher submits a "dare" they will complete if a specified amount of money is raised. Donations to dare jars can be made during lunch in the cafeteria. The fundraiser concludes on Wednesday, May 27 with teachers performing their dare (if possible) during an assembly on Monday, June 1. 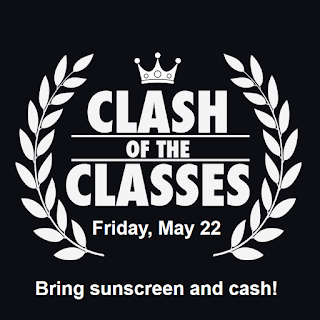 Clash of the Classes will take place in the football stadium Friday, May 22 at 12:15 pm to celebrate the end of six stressful days of Keystone testing. Winning grade gets an ice cream social during flex on Tuesday, May 26! Students should wear their class colors. Food and drink will be sale at the event and proceeds from concession stand sales will go to Mrs. McCanna to assist with medical expenses. Dress for the weather! Lampeter-Strasbug High School for the third consecutive year has earned a Silver Medal from U.S. News & World Report. Lampeter-Strasburg was ranked 34th in the state of Pennsylvania and 1,338th at the national level. This puts the high school in the top 10 percent of the nation for our teacher to student ratio, AP college readiness, and proficiency levels in Math and Literature state assessments. Last year, L-SHS was ranked 44th in the state (out of 687 public high schools, including charter and magnet schools) and 1,417th nationally (out of 21,035.) The HS earned the magazine’s National Silver Medal, which makes it one of 168 schools in PA to win a Gold, Silver, or Bronze medal. Only seven percent of the high schools nationwide were given the Silver Medal and two percent were given Gold. On Saturday, May 16 at 7 p.m.the Lampeter-Strasburg Model United Nations will be hosting its annual talent show. This year's talent show will feature a "Night at the Movies" theme, complete with an opening act dance by Model UN Members, hilarious commentary, and features a variety of acts from grades K-12. Five dollars at the door. Event to be held in the Lampeter-Strasburg High School Performing Arts Center. Proceeds from the event go toUNICEF. A silent art auction benefiting the Meredith Demko Diversity Scholarship begins on Saturday, May 16 at 6 pm in the Lampeter-Strasburg High School PAC lobby. Lampeter-Strasburg's Art Department has led a "Made for Meredith" campaign, featuring art made by L-S students sold to benefit the scholarship. The art auction is held in conjunction with the LS Model UN Talent Show. During the summer of 2014, Lampeter-Strasburg graduate Meredith Demko was killed in a tragic automobile accident. In her memory, the Meredith Demko Diversity Scholarship was erected to honor a student each year who embodies her commitment to inclusion and diversity. Lauren Bliss is representing Lampeter-Strasburg as the 2015 HOBY ambassador at Shippensburg University Thursday, May 14 through Sunday, May 17 . The Lampeter-Strasburg Varisty Club will be holding the 8th Annual Ryan's Race on Saturday, May 16 at the L-S Track. Proceeds from the race fund two scholarships given to graduating seniors who best reflect Ryan Weitzel's character and attitude.